This week, all schools are back at chalking & talking. Why? Coz the next holiday is soooooo far away in August!! This was how the 2009 Song District Teachers Day @ SMK Katibas was celebrated! It was celebrated before the 2 week holiday. 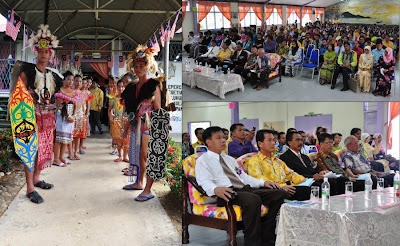 The humble Dewan Sri Katibas played host to a large event. Though small, it accommodated representatives from the PPD, representatives from every school in the Song district & even several longhouse heads. 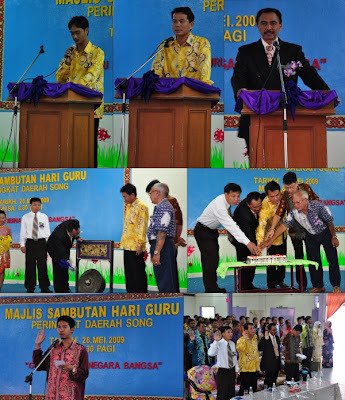 There were speeches, an officiating, the slicing of a cake & a recital of the 'Ikrar Guru'. There was also a choir by the teachers of SMK Katibas. I didnt take any pictures of that because I took part in it. We sang 'Kami Guru Malaysia' with compelling spirit. 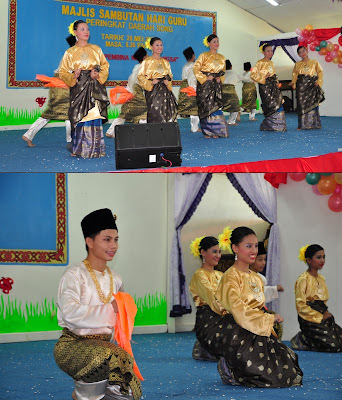 Our award-winning dance troupe showcased their talents by dancing twice that day. They trained very hard to perfect their moves & it shows! Finally, there was the after event main event: MAKAN! If an event was great, but the makan bad = it's a bad event. If an event was bad, but the makan great = it's still a great event! 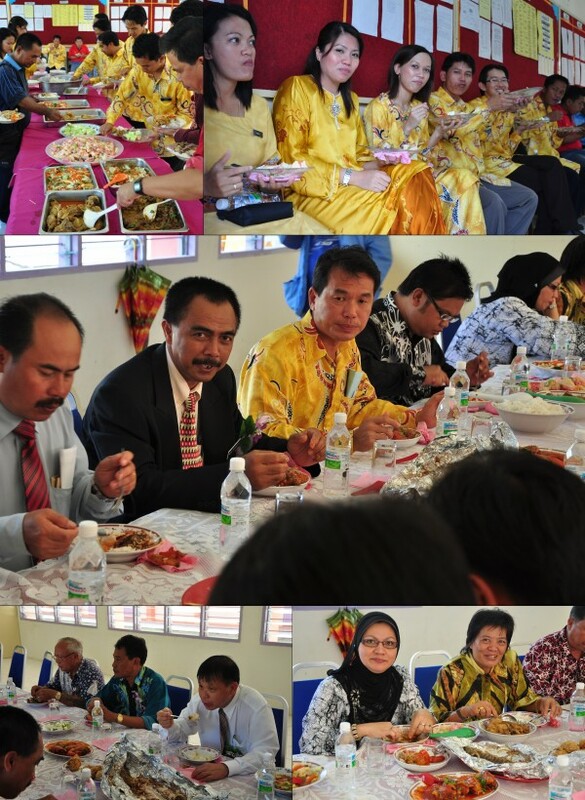 Fortunately, our dewan makan operators were culinary magicians in disguise! They whipped up a delicious storm of Chicken Curry, Beef Rendang, Tiger-Prawn Sambal, Vegetable Stir-fry & Fruit salad. It was so good that I packed some of the leftovers for dinner! Not Bad for an ulu school eh?